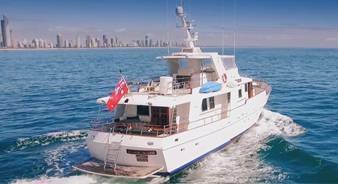 The Aussie Princess is a luxury charter boat; we guarantee you great service and a wonderful time. 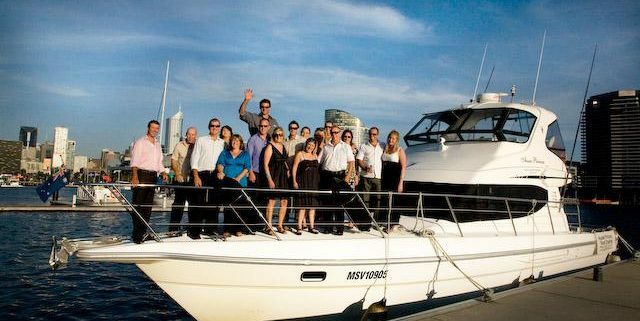 This is family owned company specialising in private and corporate charter now in Brisbane and the Gold Coast. Charter options are only limited by your imagination ! 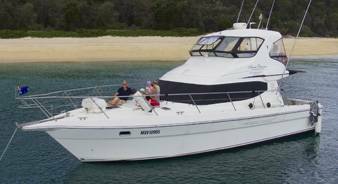 Aussie Princess is a 45ft fly bridge cruiser designed and laid out to provide our charter guests with a spacious interior, Plenty of outer deck space and a comfortable Fly Bridge lounge to sit back and watch the surroundings pass as you cruise the waters of your favorite destination. She has been in operation for the last 10 years around Australia providing her services to those around Melbourne’s Port Phillip Bay, One & Onlys 5 star resort on Hayman Island, Whitsundays and now the stunning South East Queensland. 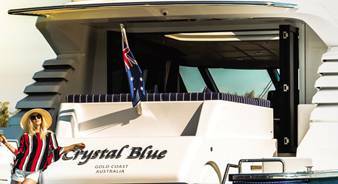 Aussie Princess is equipped with a modern entertainment system providing your choice of music or presentations through out the vessel, and also a spacious Galley including both indoor and outdoor fridge spaces large enough to prepare the days cuisine and beverages. 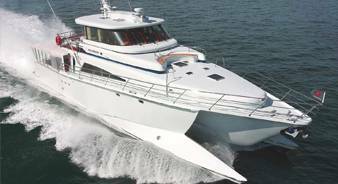 She is powered by twin 400KW turbo charged diesel engines capable of providing a comfortable cruising speed of 20kn, or you could enjoy a leisurely slow speed taking in the beautiful surrounds. LCD screen in saloon (additional screens if required). When hired she comes with a skipper and crew. Minimum 1.5 hours $1500.00 depending on availability. Saturday evening P.O.A.